A Christmas-themed event to celebrate 25 years in business has been hailed a resounding success by the team at Derby’s Trade Windows. Last month’s free Winter Wonderhome Extravaganza attracted visitors from across the county. The London Road showroom transformed into a Santa’s Grotto and a host of family-friendly activities took place. 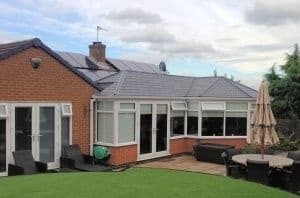 Several super prizes were given away during the day-long event including a new composite front door, a luxury hamper of chocolate and gift vouchers for a Derby-based toy shop. A bespoke glass window, created by talented staff at award-winning Trade Windows, was also donated to a Derby church. 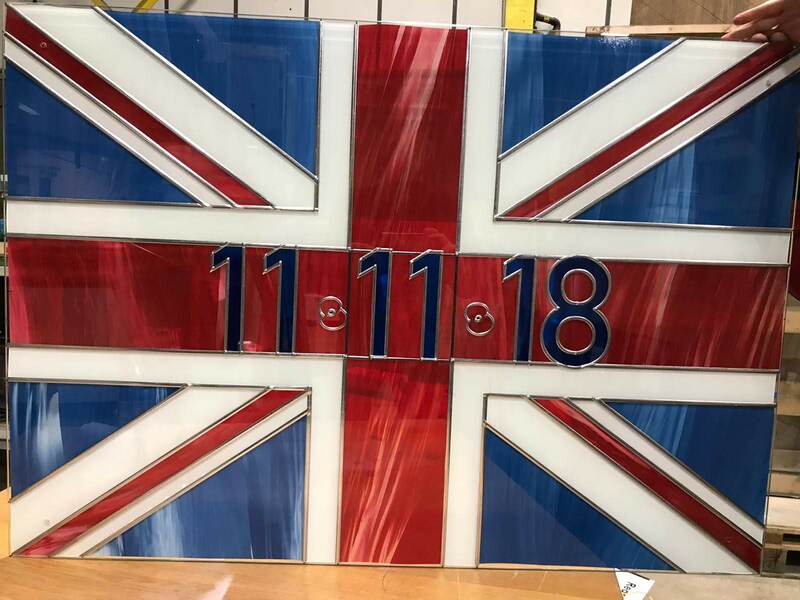 It featured the Union Flag and the date 11.11.18 – which marks the 100th anniversary of the signing of the Armistice that formally ended hostilities in the First World War. 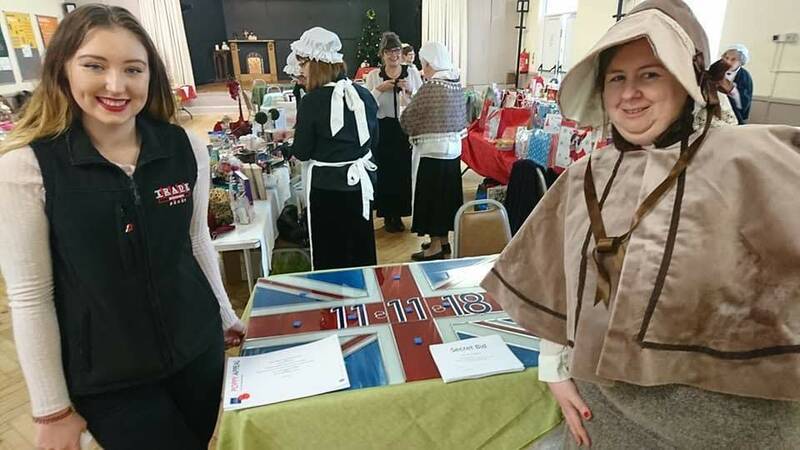 The glass artwork was raffled off at Boulton St Mary’s Church in Alvaston, and proceeds were split between church funds and The Poppy Appeal. More than £150 was raised. Festive food and Christmas cocktails were served at the Winter Wonderhome Extravaganza and live cookery demonstrations took place in the Trade Window’s kitchen. There was children’s face painting in the showroom’s dining conservatory and Happy Hour at the bar thanks to special guests, Mambo Mobile Bars. A Christmas post box was set up in the showroom so younger guests could write and post their special letters to Father Christmas. The annual event by Trade Windows was organised to showcase one of Derby’s most successful businesses. 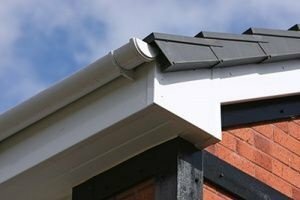 The open day gave potential customers the chance to meet with experts and discuss their exciting home improvement ideas and plans. Nigel Leivers, director at Trade Windows, says: “The event was fantastic. We thoroughly enjoyed organising it for our Derby guests and we were pleased that so many people came. “Donating our Remembrance Day glass window was definitely one of the highlights of the day. Members of Boulton St Mary’s Church seemed really pleased to receive it and it was great that so much money was raised in the raffle. 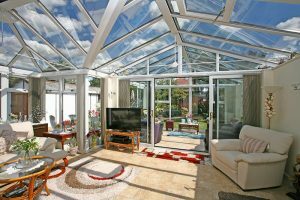 As part of the Winter Wonderhome Extravaganza event, visitors were able to see seven fully-furnished conservatories, orangeries and extensions. 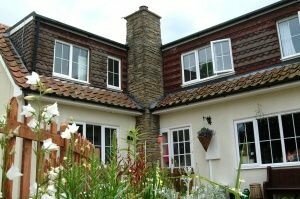 On Trade Street, there are three full-size houses, fitted with all the latest home glazing, with top-of-the-range entrance doors and windows. 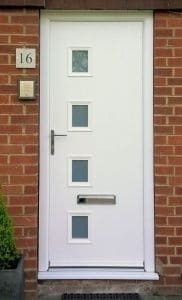 Trade Windows also showcases the very best in modern home glazing, Lumi, and presents the Spitfire aluminium entrance door. New finance options are now available too. During a £75,000 refurbishment of the showroom on London Road, the team at Trade Windows produced a display of 58 unique doors. Nigel says: “There really isn’t another showroom like this in the East Midlands and our Winter Wonderhome Extravaganza event really showcased this. “We had some top prizes to give away too. This year, Paul Brighouse, founder of Trade Windows, clinched Entrepreneur of the Year at September’s East Midlands Chamber Awards.